One of my favorite childhood memories was Friday afternoon after Dad got home from work. He’d shower up and head to the bank. If I was near at just the right time, I got to tag along. Hanging out with my dad was a real treat, but spending time with Dad wasn’t the reason I hopped up in the car. I wanted to see the tellers! Those sweet ladies with the jars full of suckers! Unable to see over the counter, I could spot my daddy handing them his hard earned check, receive some cash and head right home to give some to my mom. It was a ritual. A pattern. What they always did. The next pattern took place on Sunday. Dad always put money in the offering plate as it came by. He never talked about why or how much he gave; instead he quietly contributed and I saw. As I grew older, discussions with my mom taught me there was a methodology to their giving. She shared verses like Malachi 3:10, “Bring the whole tithe into the storehouse, that there may be food in my house. 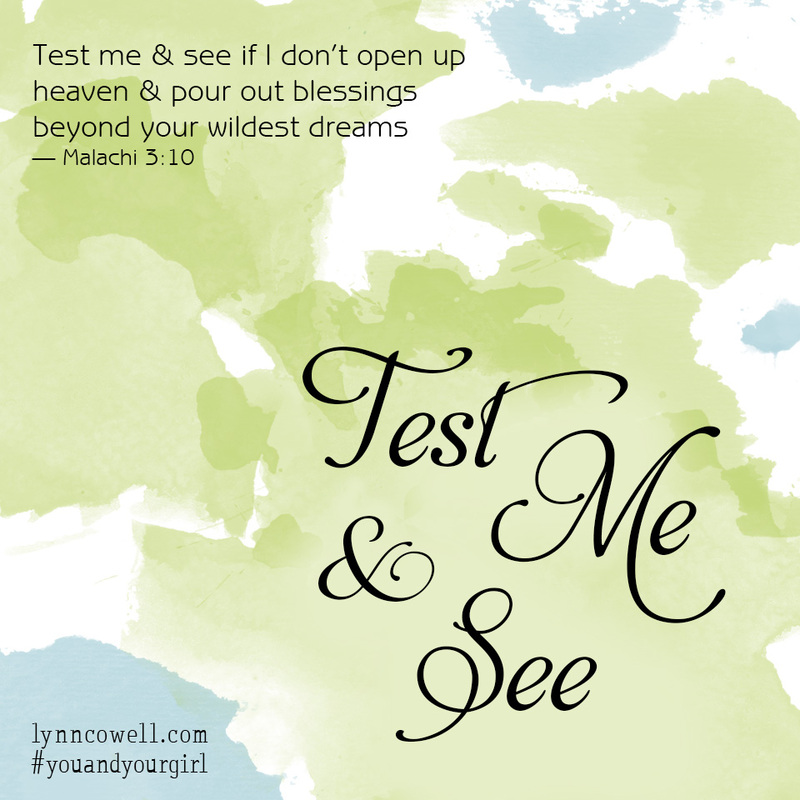 Test me in this,” says the LORD Almighty, “and see if I will not throw open the floodgates of heaven and pour out so much blessing that there will not be room enough to store it.” She told me how they tested God and saw His faithfulness. They gave to Him first and He always provided for our big family. And so, like my parents, tithing became a given for me too. I followed the pattern. If God said we were to bring Him the whole tithe, there was no question. When Greg and I married, we continued the pattern model to both of us. We would give God the first of our income. Before our bills, before our dreams, we gave to God and like our parents; we tested and saw God’s faithfulness. When our children first started receiving their “income” aka money for helping around the house, we taught them You always give to God first. I am praying, like Greg and I and our parents before us, honoring God with their finances first will become my kid’s first financial priority. Model and teach your children: bring the whole tithe and see the God pour out His blessings! If you give online or in a way your kids can’t see, be sure to share with them so they know you are faithful in your finances.